Global Leadership in the eye care domain”, KK Hospital strives to live up to the expectations of its patients. The patient is the most important asset of our hospital and at the heart of all our efforts to promote or restore eye health. We hold our core values – teamwork, respect, integrity and compassion very close to our heart and strive to maximize patient satisfaction. We delight our patients through continuous quality improvement and upgrading our knowledge, skills and implementation of Quality Management Systems. Quality is thus everyone’s responsibility and commitment. Evaluating the patient feedback has provided us with an appreciation of how important it is to see our hospital from a patient’s perspective this ensures patient empowerment. We also welcome patient referral and active interaction with our colleagues and other institutions. Eye surgery, also known as ocular surgery, is surgery performed on the eye or its adnexa, by an ophthalmologist. Surgical techniques are carried out through minimal invasive procedures by laparoscopy also dignostically it can used for dignostic tool. A general surgeon is a Doctor ,which is trained in dianosing & managing surgical by operative techniques. 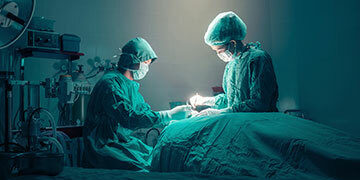 Orthopedic surgery or is the branch of surgery concerned with conditions involving the musculoskeletal system. I am very satisfied with absolutely everything these people are doing for me, the ones iv spoken to are very friendly.